Between Arles and Avignon, we made an essential stop to look for a letterbox at a site called Pont du Gard. We had a vague idea that it was some ancient bridge or aqua-duck, or something along that order. Mostly we were looking for that darn letterbox. After we arrived and saw the hordes of people also going to visit this landmark, we worried that we might not be able to employ enough stealth to retrieve and return the letterbox safely in such a crowd. And we began to think the Pont du Gard might be something pretty special if that many people were going to gawk at it. It turned out we were right on both counts. 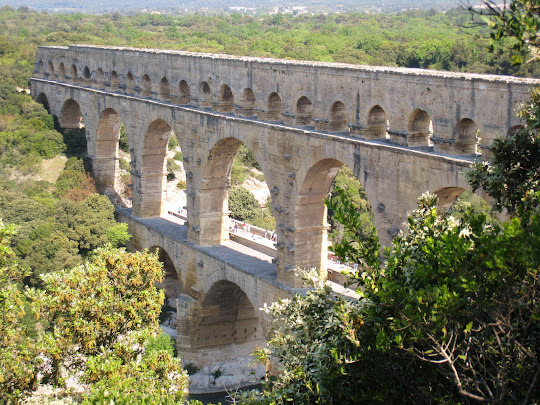 This amazing feat of Roman engineering was built in the first century AD-- before the year 100-- and was part of a 31-mile long aqueduct built to transport water from springs in Uzes to the city of Nimes. 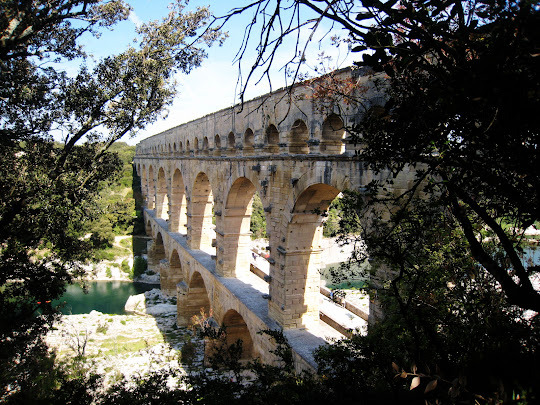 Other bridges were built as part of this system, but at 902 feet wide and 160 feet tall, Pont du Gard was definitely the largest link in the chain. 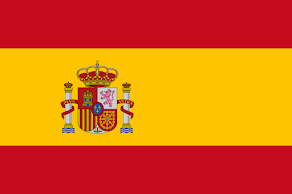 More than 50,000 tons of stone were used to construct this early engineering marvel but almost no mortar was employed. The stones were cut with such precision that they fit perfectly together and were held in place by friction alone. During the period of the Roman Empire, the construction of aqueducts was part of a program to create monumental symbols to glorify the empire. From Germany to Tunisia to Spain and Turkey, the Romans built aqueducts on their conquered territories to link their expansion with technological development. Though there is evidence that more than 60 wells had been dug in the urban center of Nimes before the Roman arrival, there is no question that the aqueduct offered the city's citizens new opportunities. By channeling water from the city's heights, as of the middle of the first century, the city had a pressurized water system, using a system of lead pipes to extend the distribution of water to homes and public baths, industrial workshops and fountains. 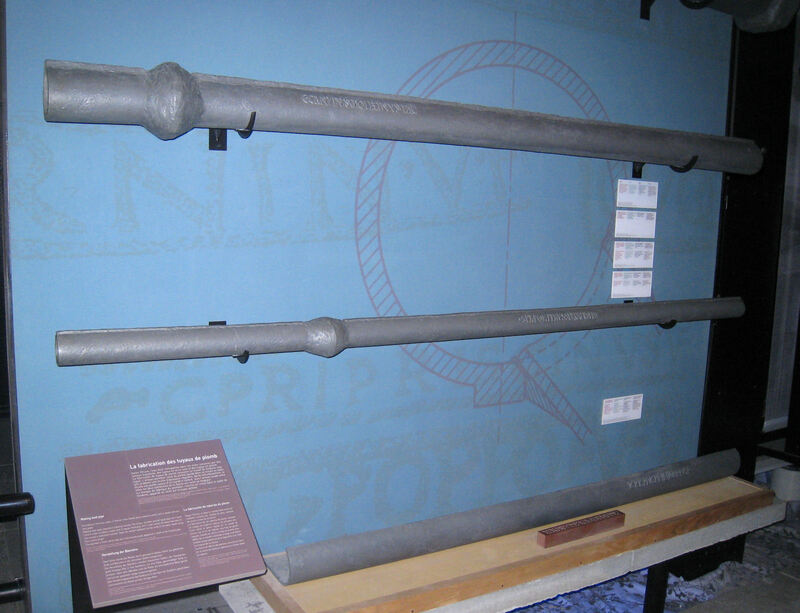 An excellent museum on site at the Pont du Gard depicts the construction techniques and the operation of the aqueduct system. As usual, one of the parts we found most fascinating was... well, the first century toilets. 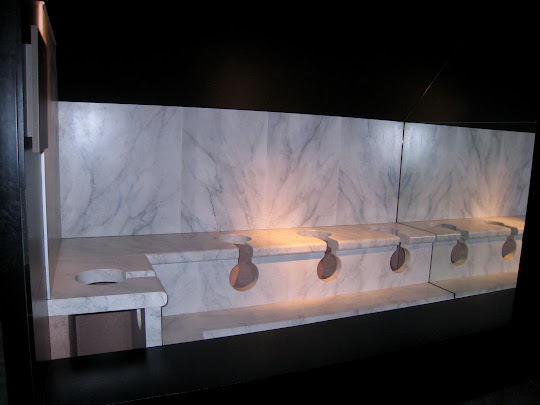 According to the exhibit in the museum,the latrines were considered important for hygiene and comfort in a Roman city. Collective latrines existed in public places such as the forum and the baths. 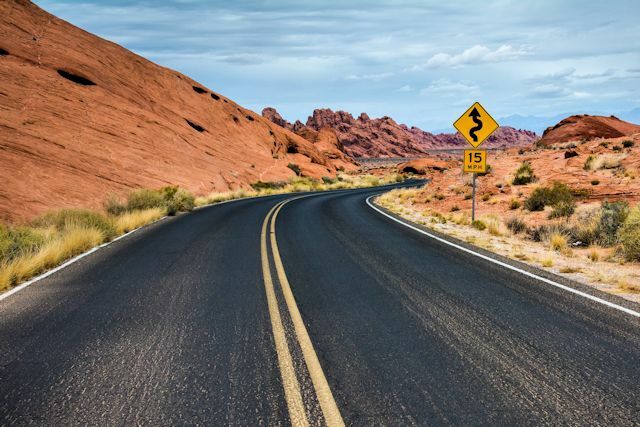 They could be surprisingly luxurious, decorated with frescoes and mosaics. Who doesn't enjoy a nice view in the toilet? A continuous flow of water into the discharge conduit directly linked to the water supply network made it possible to eliminate dirty waters into the sewers and, at the same time, to have air circulate and refresh the common room. So, if the Romans had this automatic flush system 2,000 years ago, why were we using outhouses in the United States well into the 1900s? Absolutely fascinating stuff, and now you, too, have the poop on Roman toilets. The Pont du Gard was a fascinating site, well worth the couple of hours we spent there. And we did find and safely return the letterbox.